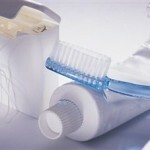 When people talk about dental health or cleaning our teeth, most of the conversation is often diverted to the kind of toothbrush you use or if tooth whitening toothpastes actually work, and if mouth washes are really effective. After all of these discussions, flossing is barely mentioned despite the fact that it is just as important as brushing your teeth. Our team at Greenline Dental Centre has always championed the use of flossing and we can even teach you how to properly floss after brushing your teeth or after you’ve eaten. To give some importance to flossing, we will shed some light as to how flossing works. Flossing is important in any dental hygiene regimen. It’s actually very important because flossing allows you to reach the parts or sides of teeth that the tooth brush always misses and is unable to clean. A floss is typically a white waxy string that which you slip in between your teeth to remove any food that’s stuck or any plaque buildup. It also gets to work on the linings of your gums to achieve the same dislodging effect. This is typically how flossing works on your teeth to keep it free from any periodontal disease. When you start to floss, make sure you get in between of each and every tooth. Flossing is especially important for the back sets of teeth because these are the teeth we use to grind and mash food so they are quite prone to food getting stuck. Additionally, these are the parts that are most difficult to reach with a toothbrush so flossing is doubly important for them. There are also many kinds of floss to choose from. Some have flavors, while others are unwaxed or have different colors. Now that you know how flossing works, it’s easy to see why brushing your teeth and using mouthwash is not enough for a complete dental hygiene regimen. Ask your friendly doctors at Greenline Dental Centre to give you tips on how to properly floss your teeth and get a clean white smile, with fresh breath.